Q.Aleix, what is the biggest difference between CRT and Open class? A.Difference is both in engine and frame. The Yamaha 4 Cylinder rpm is very high and it?s incredibly powerful, especially at maximum torque. When entering corners, this frame helps me turning much more than before; for this reason I can brake later, that’s a big advantage. Q.Full control ECU: how difficult is to use it properly? A.For me the hardest work has been to change from an ECU I knew very well to a completely new one, apparently new for everybody. Once I understood how sensitive it is, it has been quite easy to set the parameters to get the best package for my riding style. 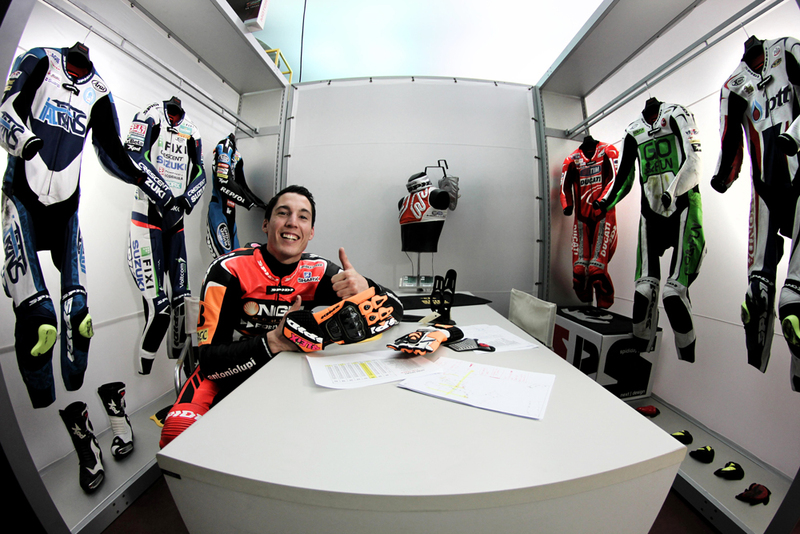 Q.In the last few seasons you changed various bikes and your riding style, passing through Moto2, MotoGP and CRT. At recent winter tests we saw you sliding your elbow as never before. How is this evolving so fast? A.All these changes are mainly due to the tyre evolution. New tyres let us reach incredible lean angles, hang off the bike and easily slide elbows. Latest Bridgestones we’re now using have high performance, really different if we only compare them to those used 2/3 years ago. Frames have also evolved giving us greater confidence through corners, in every condition. The result is that I slide elbows so easily that Spidi had to develop a special project, a removable and interchangeable elbow slider that could give riders better feeling through the corners and additional safety in case of crash. We’re still adjusting latest details it and it will be ready for Qatar race next week.